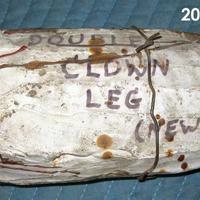 Plaster and rubber mold, written on mold is "Double Clown leg new". 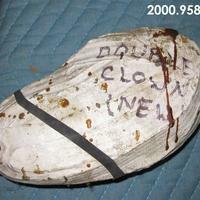 Held together with metal wire. 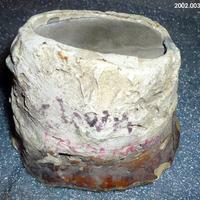 Plaster and rubber mold. 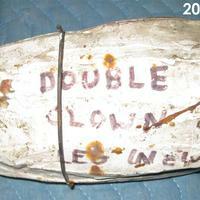 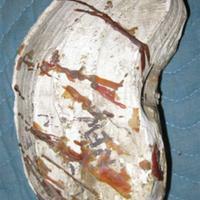 written on mold is "Double Clown new". 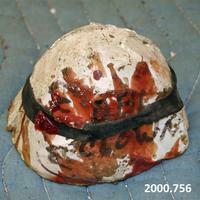 Held together with metal wire. 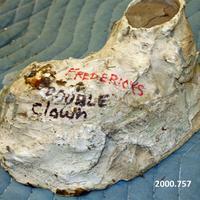 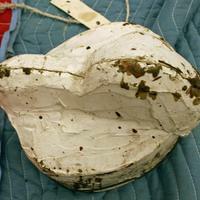 Plaster and rubber mold, written on the mold is "Double Clown". 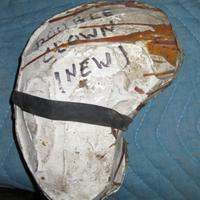 Plaster and rubber mold with "DBL Clown" written on mold. 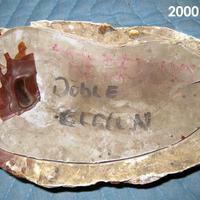 A black rubber band holds the mold together.